You can pick up a nice discount on Kidfresh Meals. After sale and coupon, you can grab a couple of your faves for only $1.60. 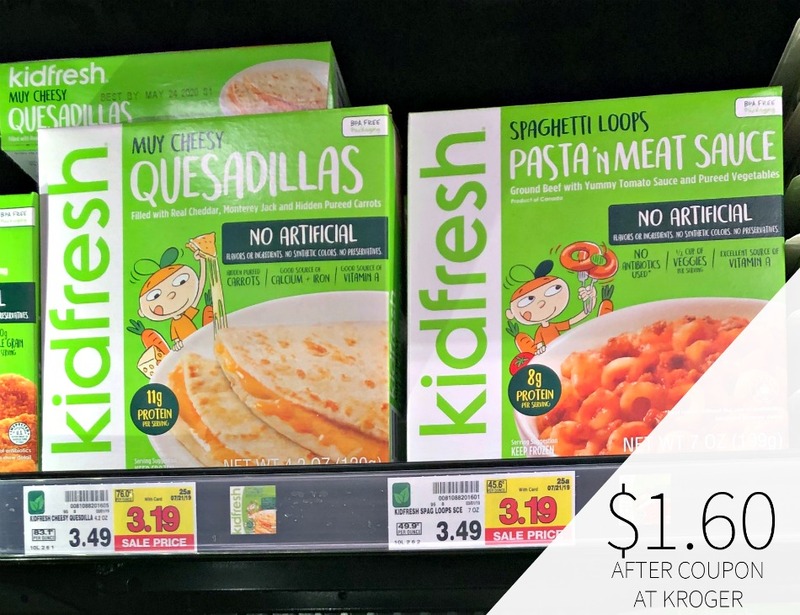 Kidfresh frozen meals – our kids’ favorites with hidden veggies and no artificial ingredients.